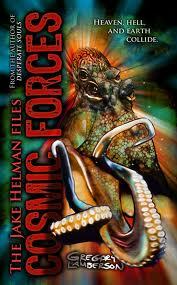 This entry was posted in Novels, Reviews and tagged Cosmic Forces, Greg Lamberson, Gregory Lamberson, horror, Jake Helman, Medallion Press, Series by Mr. Dreadful. Bookmark the permalink. Still working through Personal Demons, but will be picking this up ASAP.